Towed Array & Seismic | Sensor Technology Ltd. Towed Array & Seismic | Sensor Technology Ltd.
Sensor Technology produces a range of seismic hydrophones. These designs meet the demanding requirements inherent in marine seismic applications. They tend to be small and robust. Further, they are economical when produced in large quantities, making them suitable for the large volume deployments typical of seismic applications. However, they are also useful for a range of other applications, including leak detection, cetacean research, recreational use and even land seismic applications. Hydrophones for ocean bottom seismic obviously require a high pressure rating. The hydrophones experience the full pressure of the water column above, whether deployed in a sealed ocean bottom cable or in an open seabed nodal system. Accordingly, the typical depth rating for our seismic hydrophones is 2000m (~6,500 ft). Our high pressure version has a depth rating of 3500m (~11,500 ft). 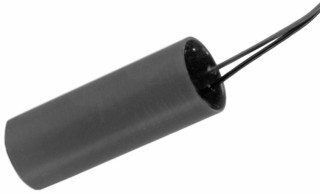 Like ocean bottom applications, towed array streamers also require hydrophones with high pressure ratings. However, this not a requirement of normal use. Rather, it is for risk mitigation. Towed array applications expose the hydrophones to much shallower depths, often less than 100m. So, during normal function the hydrophones do not experience high pressures. However, on occasion a towed array cable is severed. Severed cables sink, taking hundreds or even thousands of hydrophones to the ocean bottom. A high pressure rating ensures that the hydrophones survive, allowing salvage and repair of the severed cable. Not all seismic hydrophones have a high pressure rating. Sensor Technology offers export-ready, low pressure designs to customers around the globe. Sensor Technology manufactures a number of seismic hydrophones suitable for towed array assemblies. They can withstand continuous immersion in the isoparaffinic hydrocarbon fluids typically used to fill towed streamers. At the same time, they are suitable for deployment in sea water. This is obviously essential for seabed nodal systems which expose hydrophones directly to the surrounding ocean environment. However, it is also important for towed array applications as sea water enters the streamer cable if damaged. 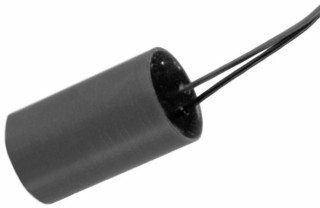 We can fully customize seismic hydrophone packaging, from materials, geometry and mounting points, to wires, pins and connectors. 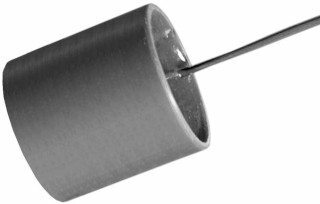 From a performance perspective, we can customize sensitivity, frequency range and capacitance. Explore examples of our seismic hydrophones on this site. Contact us to discuss your specific requirements.